Gossip is born out of uncertainty and knowledge voids. When we don’t have accurate information about an event or decision, we tend to make assumptions and fill the void with artificial information. In organizations, rumors are often symptoms of unresolved problems. They signal a lack of communication or mistrust in formal channels. Sometimes, they’re just a way for employees to express their frustrations without confronting them. Either way, they create a toxic atmosphere that can harm your company where it hurts the most – your team. The remedy, as some suggest, lies in honest, open and continual communication with your employees. And that’s not always easy to maintain. 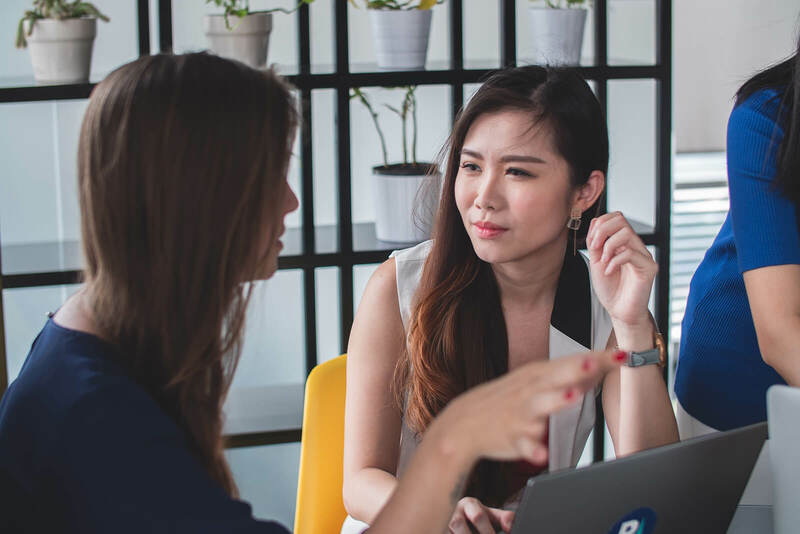 In this article, we share three ways to prevent and address workplace gossip based on how we do it at Slido and what our clients shared with us. Recently, our leadership needed to communicate a major announcement to the employees: the newly formed Slido Executive Team and an updated organizational structure. We knew that this news could generate a lot of chatter. With such important changes affecting the whole company, it was critical to ensure that the decisions, reasons and impact of the new organizational structure were explained properly to the team and that we listened to their feedback or concerns. To prevent unnecessary rumors and mitigate misunderstandings, we decided to present the changes slightly differently this time. Our CEO Peter wrote a short memo explaining the reasoning behind the new structure, plus what it meant for the respective teams. The document was shared with the whole company through Slack. 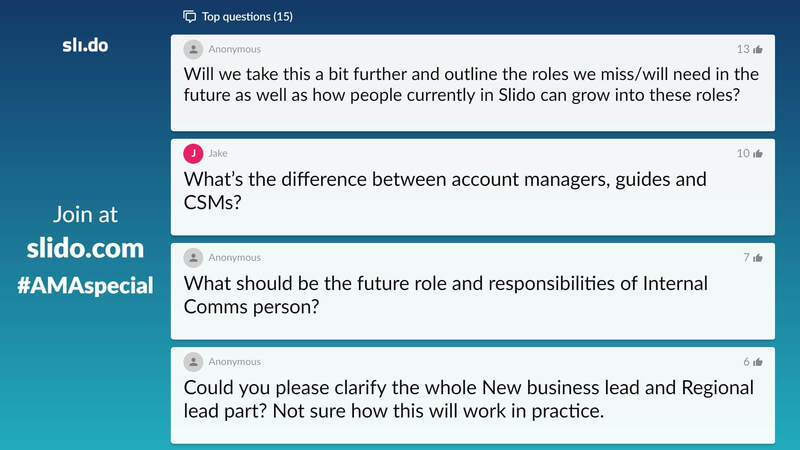 We included a link to Slido and encouraged everyone to post their questions and comments before the meeting. Peter then addressed all the questions during a live Ask Me Anything (AMA) session and clarified the differences between certain roles or the transitioning of some teams to different departments. But that was just the first step toward an open discussion with the team about the proposed changes. It was the feedback poll at the end of the session that uncovered people’s main concerns. We realized that our colleagues who had stayed silent during the session also had questions or worries, but hesitated to share them publicly. To gauge their views, we ran a Slido survey where they could rate how confident they felt about the new structure and share their comments via an open-text poll. By giving people the chance and means to express their opinion through a trusted channel, we signaled that we valued their feedback and were open to suggestions to make things work for everyone in the team. Thanks to our employees’ feedback, we were able to identify areas that were confusing or needed adjustment. It allowed us to open further discussions and make sure the whole team is aligned and understands how they individually bring value and fit into the big picture. When they are busy, the team members usually don’t have time to address the large-scale problems that emerge during day-to-day operations. Yet, people start noticing things that don’t quite work according to their expectations and start complaining, both in and out of meeting rooms. The best thing to do in this case is to give people a chance to raise all their concerns officially in a meeting. Retrospectives are a great tool for this. When it gets a little quieter after the season, our partnerships team meets for an after-season retrospective. The goal is to review the pain points of the previous season and come up with ideas for improvement so they can operate more smoothly in the upcoming one. The retro happens in two phases: kick-off and evaluation. They meet at the beginning of July to discuss their replies to the question: What’d we be stupid not to do this summer as a team? This is the time and place for them to bring up all the issues that made them ineffective or mad during the season. They crowdsource ideas before the meeting via Slido. 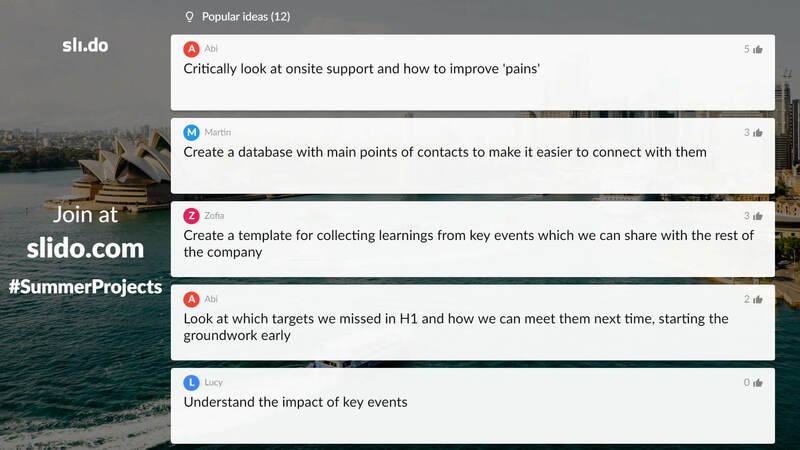 In the meeting, they decide on the most burning ones together and turn them into summer improvement initiatives, each led by a different team member. After all, what’s more challenging than giving those who grumble the power to change things themselves? It gives the team both sense of control and accountability to put the suggestions into action. The projects are then reviewed at the end of summer, where the owners present their learnings and outcomes to the rest of the team and eventually fine-tune their workflows for the next season. You might not always be able to prevent the office gossip, but you can deal with it after it’s started spreading. One of our clients came up with a simple yet effective idea to address the gossip and called it the Rumor Killer. The leadership called a meeting and asked their employees to bring up the rumors they’d heard about the company or the leadership. To make people feel less hesitant and reassure them that it was a safe place to talk, they first let them discuss the stories they’d heard in pairs. Later, the leaders encouraged everyone to submit the rumors to Slido (using Ideas) and upvote the ones they had heard or those they wanted to be addressed. The leadership then went from the top of the grapevine and explained which rumors were true and which were not true, correcting false information and re-establishing trust in the company and their decisions. These are some of the ideas to help you set the record straight when things in your company take an undesired turn. The key is to always listen to your employees’ concerns, build trusted channels for the discussions to take place and address the issues out in the open. Everything starts with you as a leader. To eliminate the kitchen talk, be the advocate of the culture you want to have in your workplace.